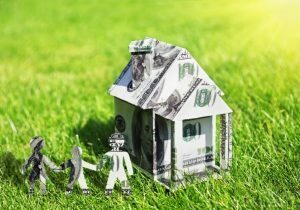 Investments in real estate have declined for the third consecutive quarter, according to the latest minutes of the Federal Open Market Committee (FOMC). According to the minutes, housing starts were below their Q2 rates, while the issuance of building permits declined over July and August, suggesting that "starts might move lower in the coming months. Sales of both new and existing homes declined in July with existing home sales remaining flat in August." Yet, the Fed remains optimistic on its economic outlook and has projected that the real GDP would increase in the second half of the year at "a rate that was just a little slower than in the first half of the year." The minutes projected that over the 2018-20 period, the output in the economy would rise at a rate above the Fed's estimate and then decline to a slower pace in 2021. While the Fed remained silent of the impact on housing, David Choi and David Mericle of Goldman Sachs recently told Gavyn Davies of Financial Times that housing was by far the most interest rate sensitive sector and had long been seen as the "textbook transmission mechanism of monetary policy." They said that a meaningful slowdown in residential investment was, in fact, a key feature of a successful tightening cycle. Tendayi Kapfidze, Chief Economist at LendingTree agreed saying that he did not see the housing market being a risk to the broader economy. Pointing to the recent softening of home prices too, he said that this was needed as it was "unsustainable with prices outstripping wage increases since 2012. "As there are fewer buyers at each price point, the appropriate market response is a slowdown in sales and an eventual easing in price momentum," Kapfidze said.